The evening, hosted by Jazz FM presenter Nigel Williams and President of the festival Dominique Renard, was an opportunity to sample some Saint-Émilion Grands Crus Classés and hear a set from jazz pianist Jean-Pierre Como and the UK- born singer who has built a stellar career in France, Hugh Coltman. 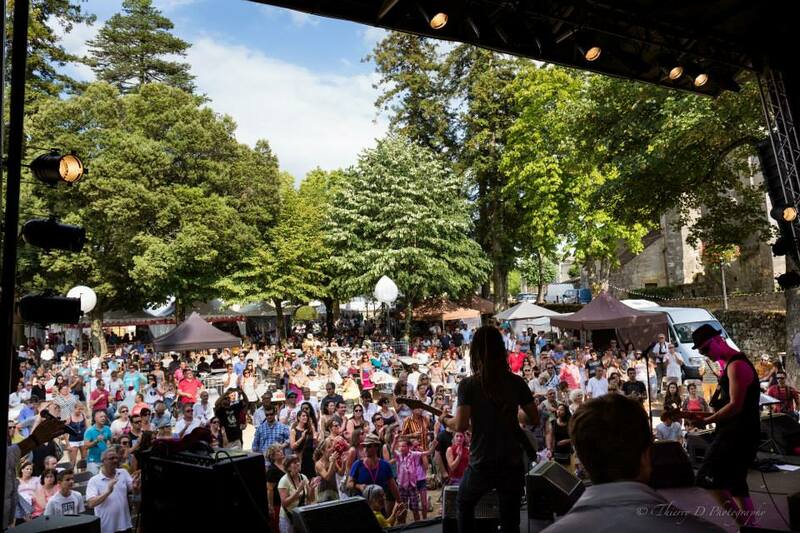 This is the 5th year of the Saint-Émilion Jazz Festival, which will run from 22nd – 24th July. It was founded, as Renard explained, with the aim of staging jazz music of the same quality as the famous regional wines. 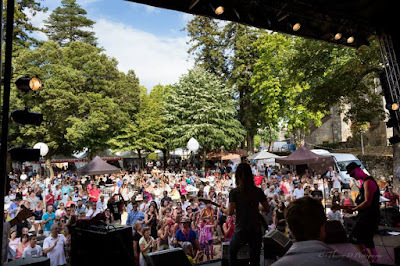 The festival is supported by the wine-makers of Saint-Émilion. Marcus Miller will open this year’s festival. Jean-Pierre Como is set to perform alongside musicians from around Europe; Hugh Coltman, Walter Ricci (vocals, Italy), Stefano di Battista (saxophone, Italy), Louis Winsberg (guitar, France), Stephane Huchard (percussion, France) and Thomas Bramerie (double bass, France, long-term member of Dee Dee Bridgewater's band). Senegalese singer Faada Freddy and French band Electro Deluxe will also feature. Jazz trumpeter Stéphane Belmondo will be performing his Love for Chet project with his Trio. Trombonist Sebastien Arruti will perform new music composed especially for the festival, and there will also be a performance from Tom Ibarra, a prodigious 16 year old guitarist and composer. After the unveiling of the programme, the London audience got a quick taste of the music - and the wine - which will be on offer at this year’s festival with Jean-Pierre Como and Hugh Coltman. They performed a short set, including the lovely Turn and Turn, which they co-wrote. The wine producers of Saint-Émilion were on hand throughout the evening to offer tastings of their carefully chosen wines.